Do you love the traditions of the holidays? 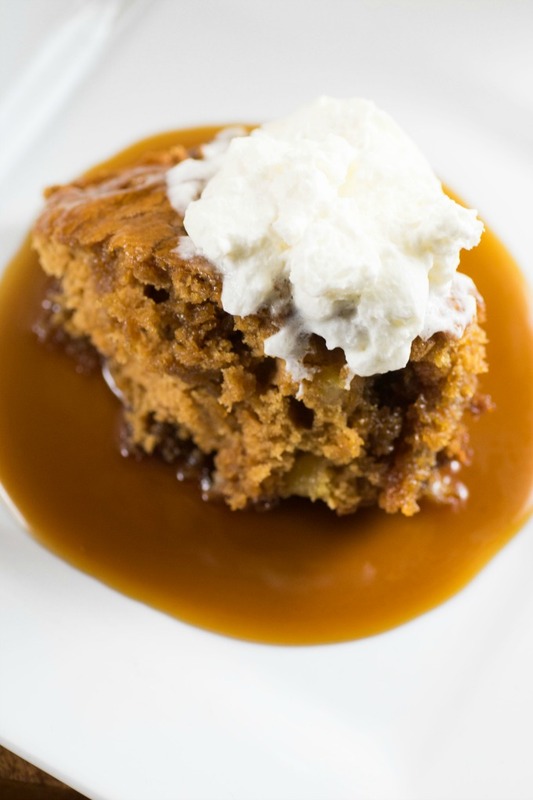 A great sticky toffee pudding is one that so many love over the holidays but you may find it intimidating to make. 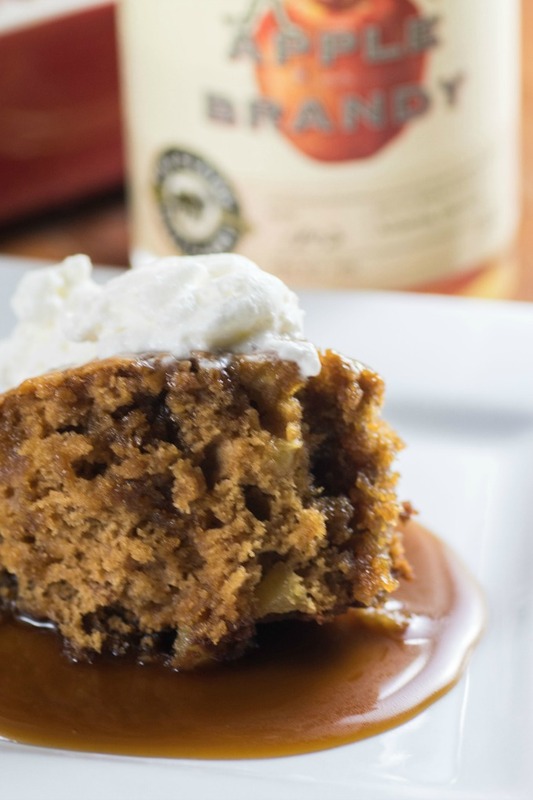 So with the help of a gorgeous Apple Brandy from Eau Claire Distillery I give you an Easy Apple Brandy Sticky Toffee Pudding. 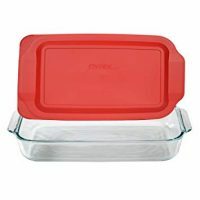 Instead of making individual ones where you might not have the dishes for a crowd nor the patience for individual desserts, this recipe is made in a 9×13″ pan and will feed a huge crowd. You don’t need much of this decadent cake recipe, just the perfect scoop with the best apple brandy sauce ever and whipped cream or ice cream. This dessert is sweet, gooey, sticky, yummy, brandy ladden and for me one of my best creations to date! 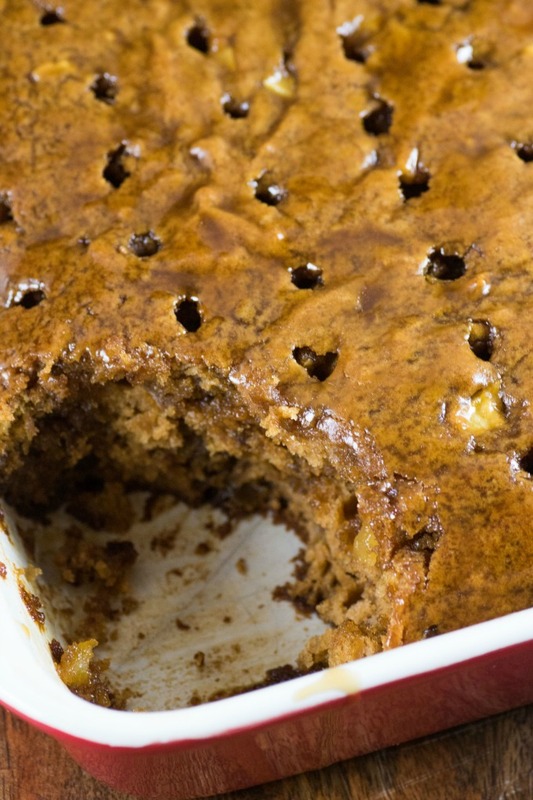 The richness this dessert has is from brown sugar and a touch of molasses. In England they sometimes use treacle which is a British molasses. Another must have element is the dates that are first cooked up in water and brandy and then whirled into a puree in a food processor. 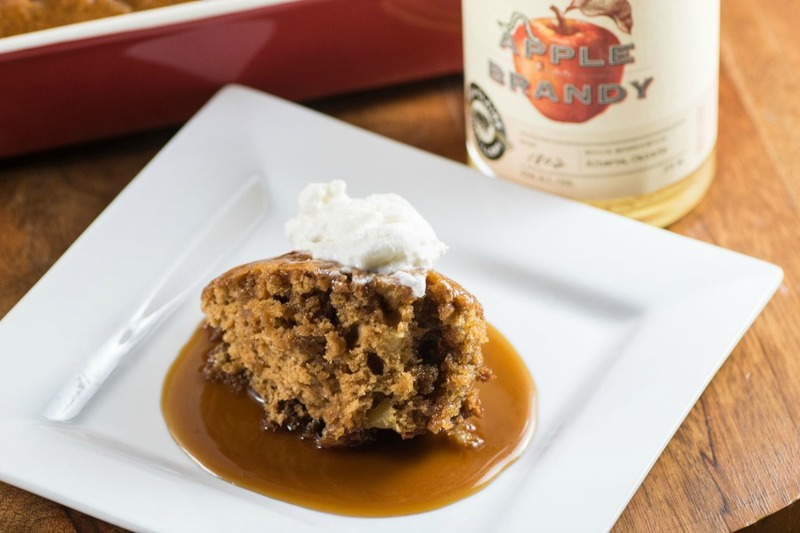 Using the wonderful Apple Brandy from Eau Claire Distillery’s gave me the extra edge to make sure this dessert was great! I took it slightly off the beaten path and instead of just dates I added in apples to pair up with the apple brandy. It turned out to be the best creation ever! Handcrafted in small batches, each bottle of Apple Brandy exudes the fragrance of fresh BC Apples, with a deep and warm French oak taste. 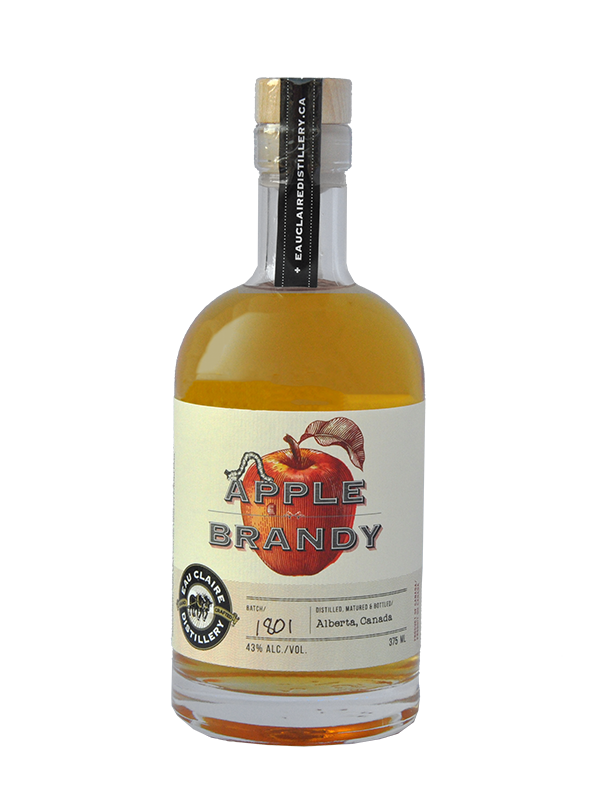 Combining the maturity of a brown spirit with the youthful flavour of Okanagan apples. 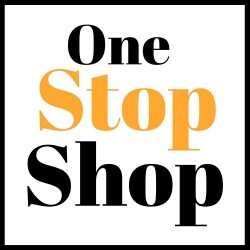 For the month of November 2018 receive a 15% discount. 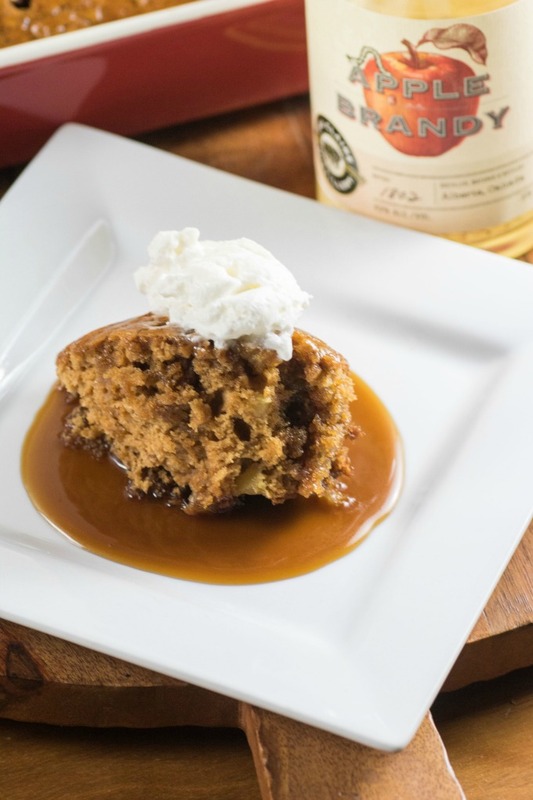 English Sticky Toffee Pudding has not been around for centuries like you might think but is a relatively new recipe that was developed in the 1970’s. It is a moist sponge cake filled with dates and served with vanilla custard, vanilla ice cream or in this case whipped cream. It also is said to be of some Canadian heritage and dating back to the second world war. Wherever the origins we can celebrate it today with our own holiday festivities and now with this recipe it is even easier. This is basically as easy as any poke cake you may have made before. While the cake is still warm you poke holes in it with a chop stick or skewer. Then the toffee sauce is poured over. I poured on about 1 1/2 cups and then reserved the rest for serving. The recipe makes a lot of sauce but you need a little pool for each serving. I would say you could get 20 servings from this dish. You don’t need a lot as it is very rich and decadent. Not normally is cinnamon added but I liked that addition with the apples and the apple brandy. This is one dessert where you almost want to eat the plate. I had one bite and there was no way it was leaving my sight. I instantly devoured it. My daughter who is almost 18 and her friend couldn’t get enough of this dessert. Hubby said it was the best thing I have ever made. So it is with rave reviews I offer this up for your holiday dessert. 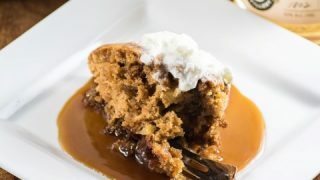 If you are already a fan of sticky toffee pudding you will love making this one as it is quick and easy. 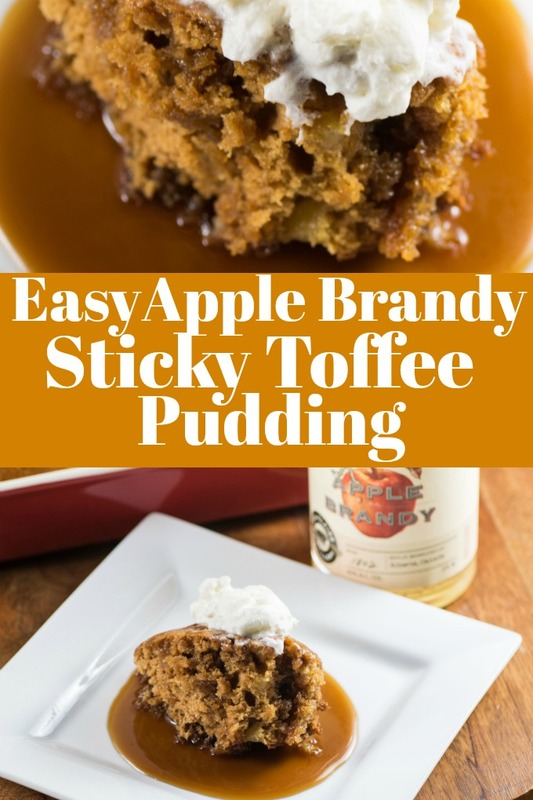 Easy Apple Brandy Sticky Toffee Pudding is a delight for the holiday season! A warm, rich and inviting dessert. Butter a 9x13" pan and set aside. In a medium sauce pan add the dates, brandy and 1 cup of water. Bring up to a boil and reduce to a simmer for 5 to 7 min. Remove from the heat and add the vanilla. Let the mixture cool enough to puree. Preheat oven to 350F. Puree the date mixture in a food processor until smooth and then set aside. Whisk the flour, cinnamon, salt and baking powder in a medium bowl. In the bowl of a standup mixer add the butter, molasses and sugar and beat until combined. Add one egg at a time beating well after each addition. Stir in the date puree. Stir the flour in, adding in scoops until well combined. Stir in the chopped apples. Pour the batter into the prepared dish and bake for 35 to 45 min. or until set in the middle. Let cool for 10 minutes. While the cake is baking make the toffee sauce. In a large saucepan combine the butter, brown sugar, apple brandy and 1/2 cup water. Bring to boil and reduce to simmer for 15 minutes or until the mixture thickens into a sauce. After the cake has cooled for 10 minutes. Poke holes in about 1" apart. Pour over about 1 1/2 cups of the toffee sauce and let soak in for about 20 minutes. 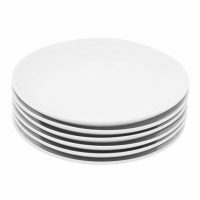 Serve warm with the extra sauce pooled on individual plates. 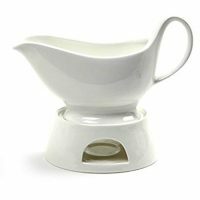 Garnish with whipped cream or vanilla ice cream. Oh this must be such a treat! Comforting desserts like these really hit the spot when it’s cold. I’d love to try this! Oh my goodness does this look fabulous! I need to try this recipe because I know my husband will love it. Oh my goodness does this look fabulous! 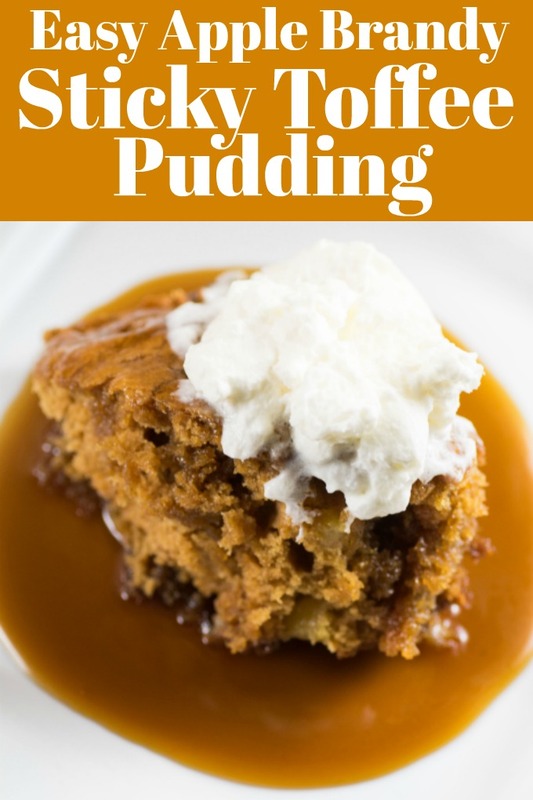 I need to try this recipe because I know my husband will love it with some whipped cream. I’ve never had anything like that before but it looks good. It also looks easy to make. I love anything with toffee in it. This would be something unique for Thanksgiving instead of just pie! Looks good. My kids and husband would love this. I would love to try this. This looks really delish! I am sure my family will love this! My mom’s birthday is coming soon and we are going to throw a party for her. This would be a really delicious treat. My mom and her senior citizen friends would love this for sure. This pudding looks so rich and so delicious! I seriously need to make this like tonight because I am craving it after seeing your photos. Drool! Wow, it looks really delicious and looks like the procedure of making this is so easy. I will try to make for my daughter’s birthday. This looks so good. I need to find that brandy and make it. I am sure my brothers would love it. You hit it out of the park with this dessert Tara! I made it this afternoon to round out a light supper. Rave reviews all around. Thank you so much, I am so glad you liked it! !